We believe that, together, we can bring across our message even better. 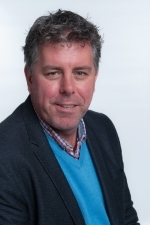 Pliant offshore has strengthened the team with the appointment of Mr. Rik Zwinkels in the role of Commercial Manager. With a broad experience in a variety of maritime and subsea companies during his two decade-career, Mr. Zwinkels will support the increase of the companies’ worldwide exposure to the marine and offshore industry. The solutions of Pliant Offshore will contribute to a safe, efficient and cost effective execution of projects.